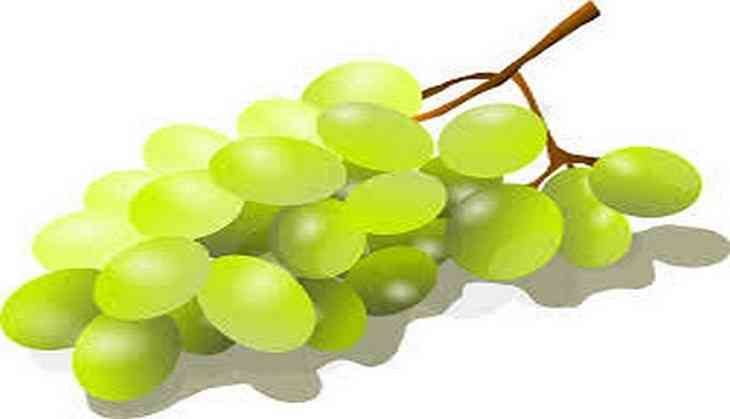 Eating grapes can protect your teeth from decaying as a recent study suggests a natural compound found in grapes can strengthen teeth and boost the strength of fillings. Scientists from the University of Illinois at Chicago College of Dentistry say this discovery could stop people from losing teeth as the grape seed extract - a byproduct of the wine making industry which can be purchased from health food shops - has long been linked to health benefits such as improved heart function and better circulation. Now the substance could reduce tooth extractions by increasing the longevity of composite-resin fillings - or tooth-coloured fillings - which typically last only five to seven years. The results suggested that the extract has been found to toughen dentin, the tissue that makes up the bulk of the tooth, which lies beneath the hard external enamel, reports the Mail Online. This means that when teeth are damaged, the remaining structure can be made stronger to bond with materials used in fillings. It could spell good news for patients who opt for resin fillings because they are more aesthetically pleasing, even though they are not as tough amalgam fillings, which last 10 to 15 years or more. A researcher Dr Ana Bedran-Russo said that when fillings fail, decay forms around it and the seal is lost. The team wants to reinforce the interface, which will make the resin bond better to the dentin. If the plaque is allowed to build up, the acid can begin to break down the surface of your tooth, causing holes known as cavities. The cavity begins to eat away at the second level of tooth material that lies beneath the enamel: the dentin. Interlocking the resin and collagen-rich dentin provides better adhesion and does not rely on moisture, the researchers stated. The study appeared in the journal of Dental Research.